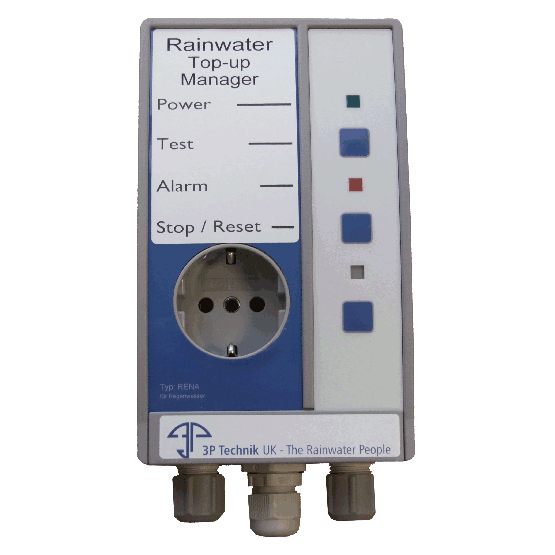 Electronic control of mains water top-up and pump for domestic sized direct pressure rainwater harvesting installations. Uses a solid state conductivity sensor to sense low water level, avoiding the movement and accuracy issues of a float switch. 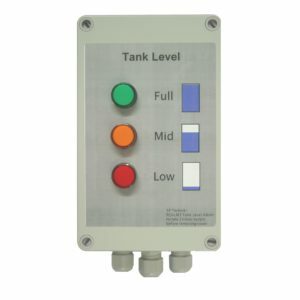 Conductivity sensors experience no mechanical wear during use leading to long lifespan and reliability. 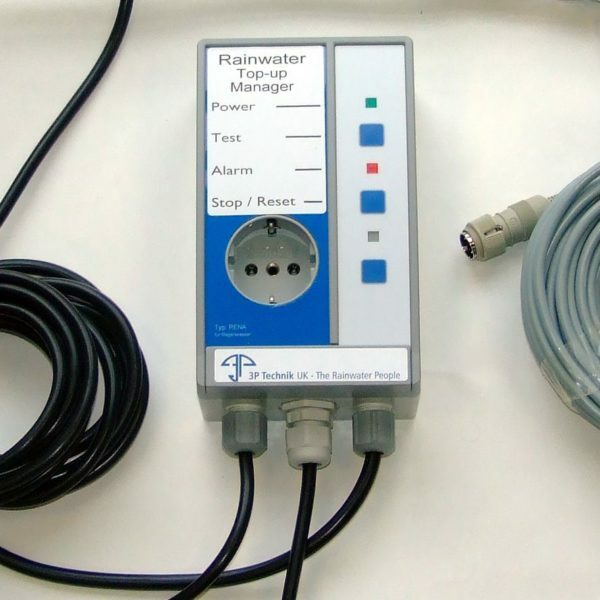 Pump isolation is optional using the front power socket, and allows the Controller to isolate the pump during a top-up cycle to avoid water useage exceeding the rate of replenishment. 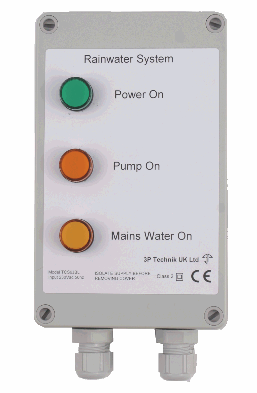 Water is topped up via a BSEN13076 and BS8515 compliant tundish. TCA5000950ECON Economy version supplied without braided hose and isolation valve. 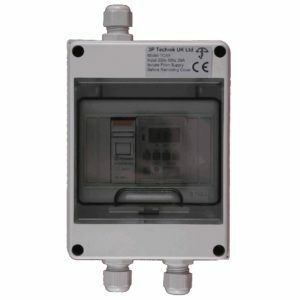 • Control Unit – 97 x 163 x 62 mm, 0.5kg. 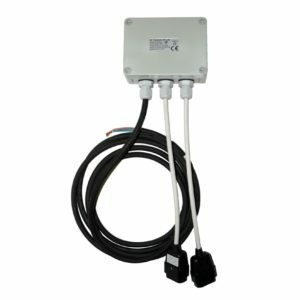 • Level Probe – 15m cable (extendable to 30m). 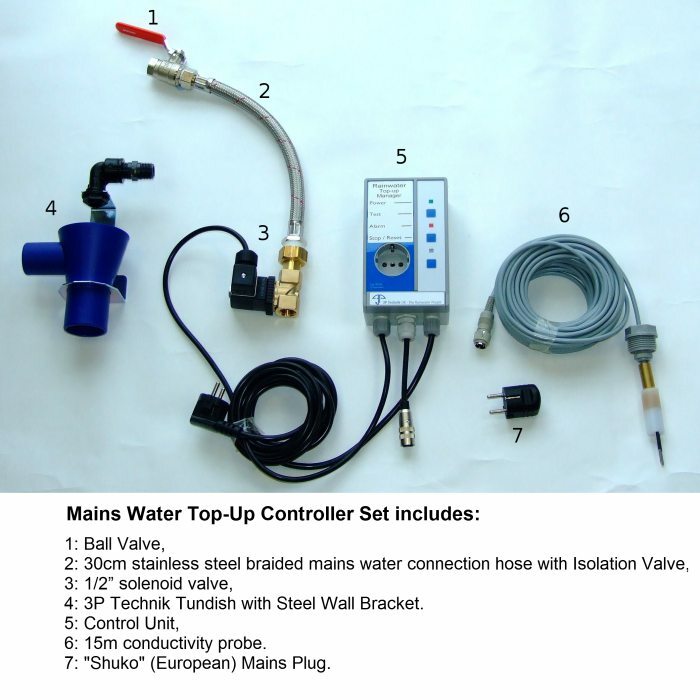 • Solenoid Valve – with 30cm braided hose and isolating valve (1/2“ F BSP). • 3P Tundish with overflow c/w wall mounting bracket, anti-spray nozzle and elbow. isolating valve (1/2“ F BSP).